Bristol has been accused of failing to compete for jobs and investment, in a new report by property consultants. The report, by the firm King Sturge, compared Bristol with Birmingham, Leeds, Liverpool, Manchester, Newcastle, Nottingham and Sheffield. It said the cost of buying a home or industrial space in Bristol was high, there was no transport plan and no clear vision for its future. The city council denied that, saying it had vision and job creation plans. It cited the Broadmead development as an example of its plans. Barbara Janke, head of the Bristol City Council, told BBC Radio Bristol: "If you look at the facts, Bristol is the only city in the UK that figures in the European ratings. "We are higher than Barcelona on innovation ratings." She added that the council did not "under-rate" its challenges, but was making improvements in education and transport, for example. The report suggested Bristol should learn from Cardiff, which has a better strategy to attract government investment and "drive forward private enterprise". Ned Cusson, from King Sturge, added: "What the survey demonstrated is all these cities compete for jobs. One of the main prizes is government jobs coming out of London. "The city has been transformed. But we could do more in terms of capturing these jobs." The Core Cities scheme was set up in 1995 by the councils of all eight cities compared by King Sturge, to set out a vision of the role they play. 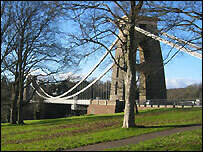 Chris Murray, director of the Core Cities group, said: "My view of Bristol is positive. All the core cities are brilliant in different ways. "Bristol has really got its act together. It is a European regional capital. "Of course it has challenges... but there is no doubt that it is right up there ranking with some of the best European cities."